Minimally invasive neck surgery has become the rule rather than the exception in the modern cervical spinal operation arena. Most invasive procedures qualify as being called minimally invasive, since they are less damaging than the traditional posterior approach that uses muscular dissection to visualize the spinal structures. However, even among minimally invasive approaches to surgical care, there are some techniques that are better than others. This is why it is so important to shop around and consider all procedural options when undergoing any type of surgical treatment for neck pain. Patients are always advised to choose the least invasive type of operation that will successfully achieve the surgical goal. This way, they will be able to attain effectual treatment, while reducing collateral trauma to the surrounding spinal tissues. This essay assists patients in better understanding the types of minimally invasive surgical therapies that are commonly utilized for chronic neck symptoms. We will examine the benefits of minimally-invasive care practices and well as provide guidance in selecting the best procedure for a patient’s particular needs. What is Minimally Invasive Neck Surgery? Minimally invasive is a comparative term that designates the procedure as being less damaging than the traditional approach that would be used to achieve the surgical objective. In the early days of modern spinal surgery, the backbone was always accessed through large posterior incisions that were placed on or around the back or neck. These incisions had to cut through skin and many layers of muscular tissues in order to reach the spine. Therefore, massive trauma had to be endured prior to any actual spinal treatment being performed. Minimally invasive surgeries utilize innovative and ever-evolving tools, techniques and approaches that reduce the damage to healthy anatomical structures, yet still allow effective treatment to be enacted at the designated spinal location. Most minimally invasive operations are now performed using multiple small incisions that are placed on the side of the neck or in the front of the neck. Instead of dissecting and damaging muscular, ligamentous and tendon tissues, these structures are avoided completely or simply moved aside to gain visualization of the spine. Furthermore, the surgeon rarely actually has to uncover the spine, since the use of high-tech surgical tools can allow complete visualization from inside the body. Endoscopic and fiber-optic technologies promote super-accurate surgical intervention, while minimizing unnecessary damage and blood loss. Lasers, radio-waves, injections and ultrasound can all be utilized to provide treatment results, further compounding the reduction in anatomical injury sustained by the patient. Minimally invasive cervical discectomy can treat disc herniations using injections, heat diathermy or laser technologies, allowing faster recovery and a decreased risk for the common complication of re-herniation. Minimally invasive cervical laminectomies can treat spinal and foraminal stenosis in the neck, without destabilizing the spinal column or damaging the muscular anatomy to a large degree. Minimally invasive anterior fusion can fix cervical vertebrae together, drastically limiting collateral injury and decreasing recovery time. All disc replacement procedures are minimally invasive. Artificial discs can be placed in the cervical anatomy with the least damaging of all techniques. Patients can recover extremely quickly from most disc replacement procedures. Many operations are inherently minimally invasive by nature. These catheter-based, injection-based and laser procedures are used to treat pain or resolve problematic structural issues without any noticeable incisions at all. Some of these techniques include nucleoplasty, IDET, nerve ablation, radiofrequency lesioning, cryoanalgesia, kyphoplasty, vertebroplasty and ozone discolysis. So many patients receive recommendations to undergo some form of spinal surgery. It is bad enough that many of these prescriptions are unneeded, and even often contraindicated, but it is worse that this guidance often deprives the patient of a fundamental right: the right to take an active role in their own healthcare. 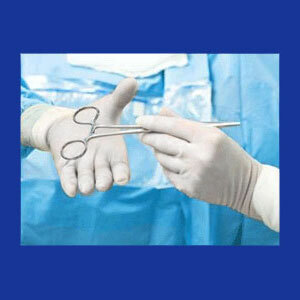 Many surgeons simply tell the patient that they need a particular procedure and give them no choice in the matter. These fear tactics are unethical and often illogical, based on far too many factors to even begin to list here. In essence, let’s skip the argument as to whether or not a surgery is even necessary. Let’s suppose that it is truly a necessity. In this scenario, the patient still should research their options and never simply acquiesce to the first snippet of surgical advice given. Surgeons will virtually always recommend the type of procedures that they offer. Most will never even mention that there are likely to be many choices available, with some procedural selections having distinct benefits compared to other more damaging operations. Even if a patient feels that an operation is a medical emergency and their only option, they should still seek multiple opinions on the best course of surgical treatment. Since some operations have dozens of procedural variations available, and since some of these variants offer results that are up to 400% better than other choices, it is worth the effort to find the best minimally invasive approach to care. Anterior discectomy is a perfect example. Find the surgeon who is the most qualified and will offer the best prognosis for treatment, standing behind their predictions and even placing them in writing. Find the procedure that offers the best curative statistics, while simultaneously doing the least collateral damage to health spinal tissues. Find the surgical technique that minimizes risk factors and the incidence of postoperative complications. Finally, find the surgery that will allow the fastest recovery time and the best chance for regaining full physical functionality after recuperation is complete.